Did you know that less than 5% of the Aussie population regularly floss their teeth? And many of us floss just twice a year – the night before our 6 monthly dental check-up. DOES THAT SOUND LIKE YOU? Otherwise known as the #guiltyfloss or the #panicfloss. The Australian Dental Association encourages us to floss every day for a clean and healthy mouth – but if daily teeth flossing is not realistic for you, then try to floss at least once a week. Flossing properly removes plaque and food particles where a toothbrush simply can’t reach. Even if you are the most diligent tooth-brusher EVER! Between your teeth and under your gum line are very hard to reach places; a buildup of plaque in those unreached areas can make your gums inflamed, lead to gum disease, tooth decay and even tooth loss for extreme cases. Don’t just floss your teeth when food gets stuck. I am going to ask you to make it part of your routine. Get a piece of floss approximately 30cm in length and wrap it around both middle fingers, with more on one finger than the other. Leave 5 or 10cm of floss to utilise. 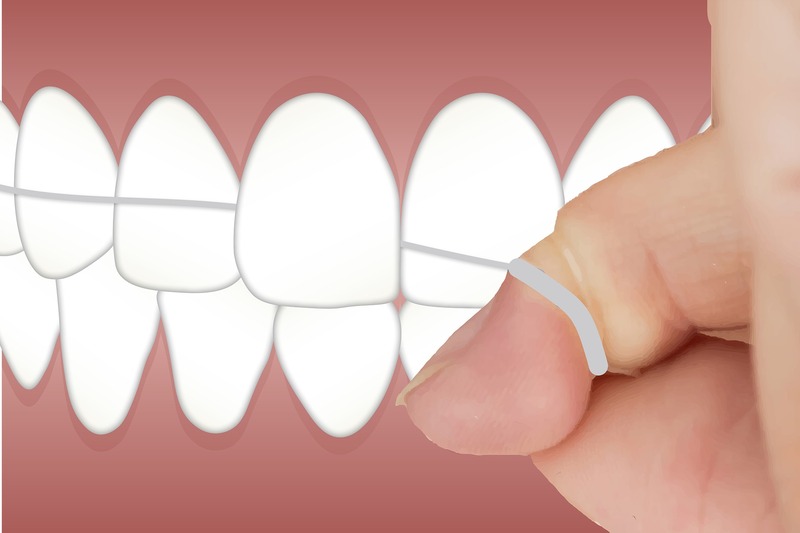 Hold the dental floss tightly between your thumb and index finger, slide it between your teeth up-and-down gently. Glide the dental floss between your teeth using a zig-zag motion, making sure to go gently beneath the gum line. Do not use too much pressure and cause bleeding or damage your gums. Move from tooth to tooth, repeating the process and DO NOT FORGET your very back teeth! Floss picks have also grown in popularity and are pretty easy to use if you prefer. Dental water jets are another way to encourage flossing. But good old floss is just as effective and cheaper. And in many ways, better. Should I stop flossing if my gums bleed? Seeing blood when you floss can be a little scary, but some bleeding is totally normal. It’s definitely not a reason to quit flossing! Bleeding can alert you to some potential problems. Some people bleed because they’re flossing too enthusiastically. If you bleed alot, try to be gentler and see whether you bleed less. People with gum disease bleed more than others when they floss. Take a close look at your gum line and see whether it looks inflamed. If you think you might have gum disease, give us a call so we can check it out. Does flossing make receding gums worse? There’s no truth to the myth that flossing teeth correctly exacerbates receding gums. In fact, flossing can actually prevent gums from receding, since it cleans food particles and bacteria out from below the gum line. That makes flossing crucial for people with hereditary receding gums and gingivitis. If your gums are already receding, flossing daily can help prevent further damage. Bear in mind though that over-zealous flossing can be hazardous to gum recession so speak to us if you need advice on flossing technique. Be thorough, but be gentle. Should I still floss if I have braces? Braces can sure make flossing challenging. But failing to floss for the months or years that you have braces is a bad idea. Just imagine how much food and bacteria will be stuck between your teeth by the time you get your braces off! If you find flossing with braces difficult, let us at Taree Dental Care help you perfect your technique. Remember, we are here to guide you and help you with you oral hygiene. We hope with these helpful tips that flossing becomes an easier, more routine process for you. Remember that a dental checkup is still necessary even if you practice at-home dental care, so contact the best dentist in Taree, today! That’s Taree Dental Care of course! Give us a call on 6550 0960 or head to our website to make an appointment. If you’ve ever dealt with chronic dry mouth, then you know how distracting and uncomfortable the condition can be. Dry mouth arises when the mouth’s saliva glands don’t produce adequate amounts of saliva. It can result from a number of causes including smoking, certain medications, dehydration, depression or anxiety, cancer therapy, or autoimmune disorders. No matter what the cause of dry mouth, the consequences are discomfort and a heightened risk of tooth decay and gum disease. That’s because saliva plays an extremely important role in our oral health, from cleaning the mouth to helping protect teeth from decay. Without adequate saliva production, you’re more likely to experience difficulty chewing and swallowing, bad breath, dry or cracked lips, cavities, and/or infections of the tongue, cheeks, or gums. Dry mouth can often be a side effect of medication. These medications are not limited to just prescription drugs – even some over-the-counter medications can make your mouth feel dry. Antidepressants, antihistamines, decongestants, pain medication and BP medication, can also exacerbate a dry mouth. If one of these medications is responsible for your symptoms, sometimes your doctor can put you on a different medication or possibly lower the dosage. 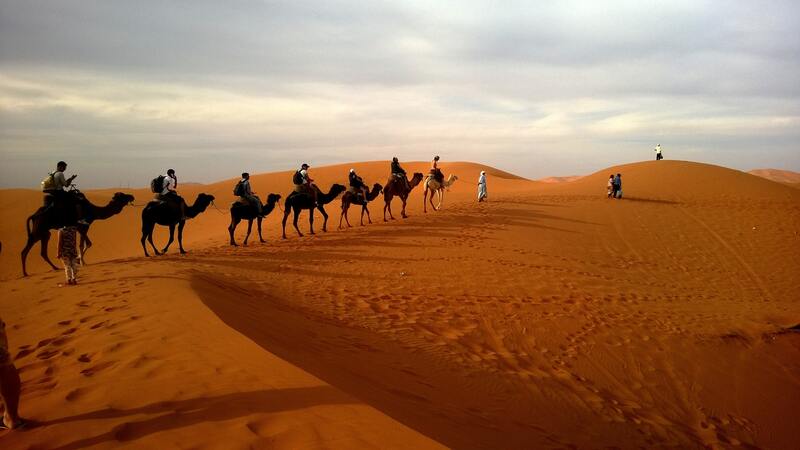 Dry mouth can also be caused by medical treatments such as radiotherapy, or some surgeries. It can also be a direct result of a medical condition (for example diabetes, lupus, or blocked salivary glands). So if you suffer from a consistently dry and uncomfortable mouth, always mention it to your doctor and your dentist. If you notice your dry mouth flares up after you’ve been smoking or drinking, that’s because both alcohol and tobacco dry out your mouth and inhibit saliva production. It’s best you quit smoking altogether for reasons we all know too well. And if you are consuming alcohol, ensure you’re drinking water between your drinks. Common sense really. If you like using a mouthrinse, be sure to buy an alcohol-free mouthwash. Alcohol, even in a mouthwash form, can cause a dry mouth. Some foods, especially acidic salty and spicy foods can also impact the severity of dry mouth symptoms. One of the most obvious causes of dry mouth is simple dehydration. We recommend drinking at least 8 glasses of water a day but the best rule of thumb is to listen to your body and drink water even before you feel thirsty, especially when in the heat and/or exercising. What can help ease the discomfort? Some people find that sipping water, and sucking (sugar-free) sweets or chewing gum, can help in the short term to help produce saliva. A water based lip moisturiser can also help. Minimise sugary and acidic drinks, and brush and floss EVERY day. Simples. There are also a variety of pastes and gels on the market so ask us about those when you see us at your next dental checkup. How can Taree Dental Care help you? We’ll thoroughly examine your mouth and consider your medications and medical history to pinpoint the root cause, and suggest treatment customised to your individual dental needs. Remember, you have a higher risk of tooth decay and gum disease with dry mouth, and these can get worse more quickly than usual. So it is important to visit your dental team regularly. Contact us on 6550 0960 to schedule your appointment with our professional Taree dental team today! And if you do suffer dry mouth, it often goes hand in hand with bad breath. Take a look at our earlier blog with tips on how to make bad breath go away. But did you know they also recommend ALL kids may benefit from having a preventative orthodontic assessment between the ages of seven and 10 years old? That may sound young, but prevention is always better than cure when it comes to your child’s oral health. 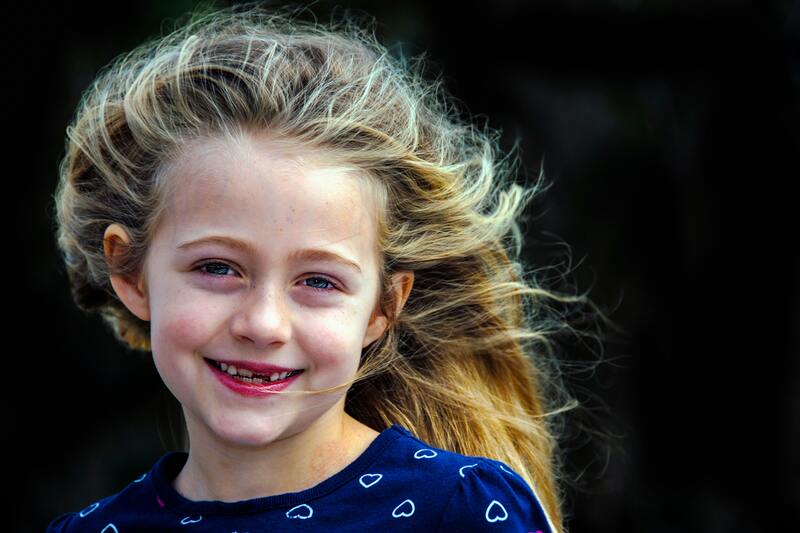 By seven years old, most children have a mix of adult and baby teeth, which will help the dentist to determine if there are any developing problems such as misalignment of the jaws, crowding, or overbites. Crooked and crowded teeth are hard to clean and maintain. A bad bite can also cause abnormal wear of tooth surfaces, difficulty in chewing and /or speaking, and excess stress on bones and gums. One thing for certain is that an early orthodontic evaluation is always a really good idea. The idea of an initial visit is for a ‘screening.’ This is where Dr Dan or a member of his dental team will examine and assess your child’s growing face, teeth, and jaws. Orthodontic procedures performed later in life take longer and are also way tougher on the hip pocket. This will allow us to catch any problems or abnormalities early on—when they’re easiest to treat and fix. At Taree Dental Care we pride ourselves on having a focus on children’s dentistry. You need a dentist you can trust. You also need to find someone your child likes.